Q: Why don’t sharks like fast food? Q: What did the shark say to the whale? A: What are u blubbering about? Q: What kind of shark is always gambling? Q: What do you get when you cross a parrot with a shark? A: an animal that talks your head off. Q: How do you make a shark laugh? A: Tell a whale of a tale. 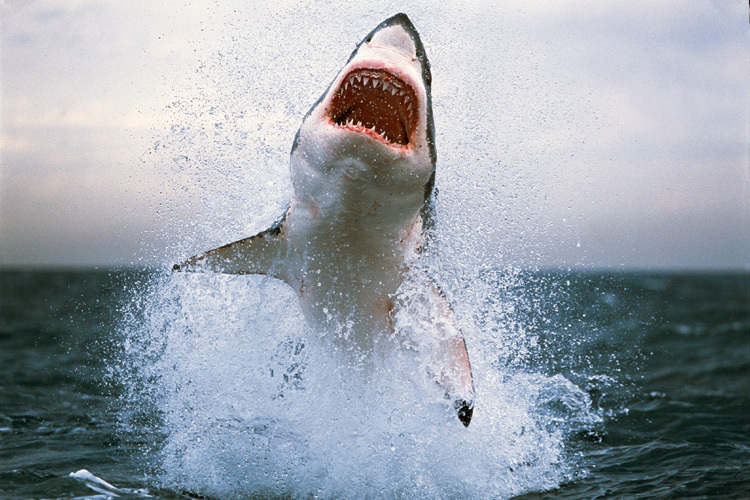 A shark may grow and lose 20,000 teeth in its lifetime!